High-grade, stainless-steel blades feature a precision-ground edge that stays sharp longer and cuts all the way to the tip — essential for anyone who cuts fabric. A lightweight design and ergonomically sculpted handle provide unmatched cutting control, and a bent handle design keeps materials flat for precise cuts every time. 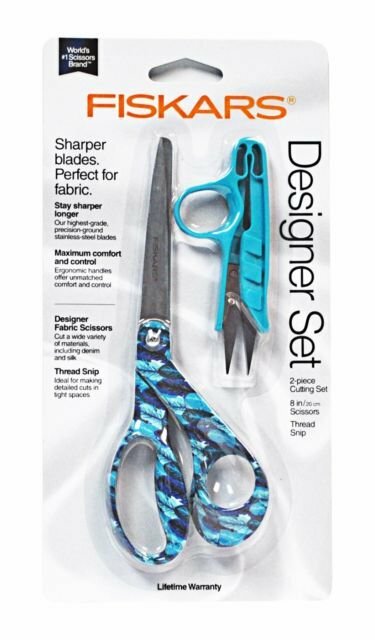 Features: Ideal for cutting a wide variety of materials including denim, silk and multiple layers of fabric, Designer handle pattern helps you express your personal sense of style, High-grade, precision-ground, stainless-steel blades offer a lasting sharp edge that cuts all the way to the tip, and Bent handle design keeps material flat for mistake-free cutting.